How can we multi-task more effectively? Do you sometimes feel like you are going a mile-a-minute? In today’s ultra-competitive, fast-paced business world, the ability to multi-task is not just a bonus; it’s a necessity. However, with multi-tasking comes a very significant hurdle: communication. Oftentimes, when we multi-task, there is so much going on that communication can suffer. This only increases the chances that something falls through the cracks and gets left undone or done improperly. So, it is important to learn how to filter out the noise and communicate more clearly when working on multiple tasks. 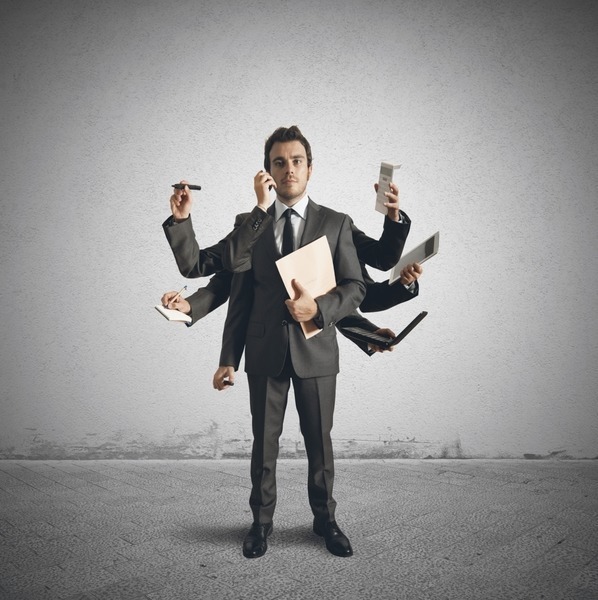 When you are multi-tasking, your attention is divided between multiple tasks. The more tasks you add, the greater your attention is divided. So, it only makes sense that something – often communication – will suffer. By learning how to multi-task (and communicate) more effectively, you can greatly improve productivity and overall job performance. First of all, let’s make one thing very clear. Multi-tasking is a lie. There is no such thing. Your brain can only actively think about one task at a time. So, what really happens when we “multi-task” is that our brain jumps back and forth between tasks. Now, this shifting happens so fast that it is not even noticeable, thus the illusion of multi-tasking. However, you are actually time-sharing. No matter, you can still improve. “You are your own worst judge of how good a multitasker you are,” says Markman. Oftentimes, we think we have everything under control when, in reality, we are letting things slip through the cracks. Try these simple exercises to improve multi-tasking. Keep it Relative: When you jump back and forth between dissimilar tasks, you brain has to stop and re-focus. This shift happens quickly, but it negatively affects memory, focus, and productivity. Instead, try to work on related tasks at the same time. When you work on similar projects, it is easier for the brain to focus without re-adjusting. Make a List. Check: One way to help improve multi-tasking is to create to-do lists and keep them visible. This will help ensure that certain tasks do not fall through the cracks. Work on Communication: One way to become a better communicator when multi-tasking is to practice. It makes perfect, as they say. Whichit Whoseit is a communication game that helps participants understand the nuances of clear communication and filtering out noise as we try to multi-task. Take a look! Whichit Whoseit is just one example of the many different team building exercises that Terrapin Adventures uses to help your team reach their full potential. Conveniently located in Howard County, Maryland, between Baltimore and Washington DC, Terrapin Adventures is able to create a custom team building program – onsite or offsite – that is designed to help your group increase their ability to problem solve, think creatively and collaborate with one another. If you have any questions about Improving Communication Through Team Building, please call Terrapin Adventures at 301.725.1313, or email us at info@terrapinadventures.com to learn more. You can also follow Terrapin Adventures on Facebook, Twitter, LinkedIn, YouTube, Google+, and Pinterest for up-to-date information on events, trends, and other fun and exciting outdoor activities. This entry was posted on Monday, August 10th, 2015 at 1:48 pm. Both comments and pings are currently closed.